Thanks to a 3-0 win in Nancy, the Lyonnais go 16 points clear of second-placed Lens and steady the ship a fortnight out from the Coupe de la Ligue final in Saint-Denis on March 31. A week after conceding a 1-1 draw with Marseille at Gerland, OL travelled to Lorraine to make up for points lost at home, improving their already impressive away form to 36 points won (15 more than Lens, which is equal second in this respect, with 21 points won on the road) and a ratio of 31 goals scored and only 11 conceded. In doing this, and thanks to their 3-0 win, OL has broken the record for away wins in one league season and stretch their lead over second-placed Lens to 16 points. More importantly, they reassured themselves just a fortnight away form their most important match of the season, the final of the Coupe de la Ligue on March 31 at Saint-Denis. It was a strong performance, and what’s more, it was achieved in the absence of four first-team regulars. Réveillère, Toulalan, Cris and Malouda, were perfectly deputised for by Clerc, Diarra, Müller and Benzema, giving strong hope and reassurance to a squad injured by a terrible winter. A great team claws its way back from periods of doubt of slumps in form by relying on its tenacity and ability to bounce back from disaster. In Nancy, the Lyonnais thoroughly bore out this maxim. 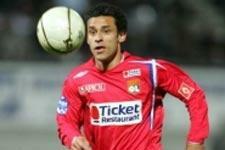 In the 35th minute, at the height of Nancy’s dominance, Jérémy Gavanon hit Grégory Coupet’s crossbar. From the resulting corner, Juninho put the ball on the head of Toto Squillaci. In support on the six-yard line, Milan Baros gloriously volleyed home the rebound after Brison cleared off the line (37’). At the end of the first 45 minutes, OL’s one-goal advantage didn’t at all reflect Nancy’s dominance in the midfield. With the exception of Toto Squillaci and Milan Baros, accomplices in the game’s opener, only Sidney Govou managed to trouble Damien Grégorini when he volleyed over (19’) and then hit a stunning shot along the ground that went out off the post(33’). Grégory Coupet and co could count themselves lucky to be a goal up at the break, such was the dominance of the home team. After an even start to the match, Gérard Houllier's men made the mistake of leaving the initiative to Kim and co, only staying in the game through decisive headers from Alou Diarra (14’ and 24’) and François Clerc (15’). Very lively up front, André Luiz shot off target (17’) and also went wide with a header (43’) before Coupet dispossessed him in a one-on-one (39’). After a jinking run in the area, Kim forced a decisive save from Coupet (37’). 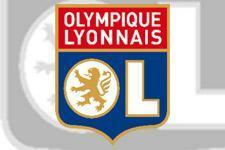 But the Lyonnais got back in the swing in the second half! After conceding two shots to Fortuné, first over the bar (47’) and Coupet calmly taking the next (55’), OL doubled their lead with their first chance after the break. At the end of a lightning-fast counter attack led by Fred and Karim Benzema, Kim Källström, who had come on moments earlier in place of Juninho, beat Grégorini with a powerful shot (77’). And Fred took it further, confirming, as if it were necessary, the awesome finishing skills OL possesses. The Brazilian perfectly finished Källström’s free kick with a sublime header (79’). Sidney Govou went close to scoring his first of the year in L1 but Grégorini beat him in a one-on-one (88e). An OL in scoring mode can deliver a deathblow at the right moment, making decisive substitutions and showing the value of having a larger than usual squad and depth to boot. The strikers had more verve, they are in a strong position on the table and set a new record: Gérard Houllier and his men couldn’t hope for more than that. They now just need to confirm the result in the league and in the Coupe de la Ligue. Reactions after the meeting between Nancy and Olympique Lyonnais.